The scalar triple product is zero if any two of , , and are parallel, or if , , and are co-planar. Analogous expressions can be written for and . 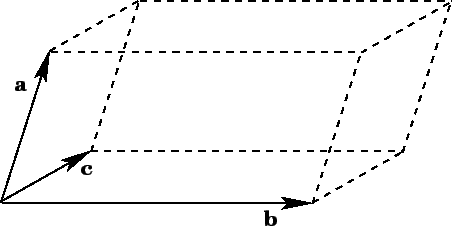 The parameters , , and are uniquely determined provided : i.e., provided that the three basis vectors are not co-planar.